Usually the biggest travelling expenditure is for the accommodation. Average hotel room costs more than 50 EUR per night. If you are raveling for one week or longer, the total amount of money spend only on accommodation is huge. Travelling is not about sleeping in expensive hotels, but about exploring new places. If you want to reduce expenditure on accommodation and redirect it to something else. Nowadays very common type of accommodation is vacation rentals. That means renting an apartment for the whole or part time of traveling. It is almost as comfortable as staying in a hotel; beside there is more privacy in your apartment than in a hotel. If you choose this type of accommodation, probably you will be able to save at least half of the money you would spend on a hotel room. Also it will be able to save money on catering, because there is kitchen in each apartment, so there is no need to eat outside the house. Something similar to vacation rental is couch surfing. That means you are not renting the whole apartment, but only one bed or couch. The owner of the apartment will probably live in the next room, so there will be a lot less privacy, but if that’s not an obstacle for you, than this is the best way how to save lot of money. The charges usually are symbolic. Also it is a great way how to make some new friends and find out something more about local culture. If you don’t want to spend a night in some strangers’ house, but use official accommodation, you can try various camping sites. There are many official campsites all over the world that provide not only a place for a tent, but also all the utilities, catering and other services. This will not only be a lot cheaper alternative, but also a lot more exciting. Being close to the nature and enjoying the wildlife of other country is a real adventure, so why not to use it? Hostel also might be a good choice. The rooms of hostels are almost as comfortable as standard hotel rooms; the only difference is that you might have to share the room or the utilities with other clients. This again means lack of privacy, but otherwise hostels are very similar to hotels. The prices of hostels are lot lower, so if the privacy is not so important for you, better choose a hostel. The college dorms are another great alternative. Unfortunately it is available to stay at the dorms only at summer, when students are not living there and not occupying these places, but if you can find some free dorms, use this chance. 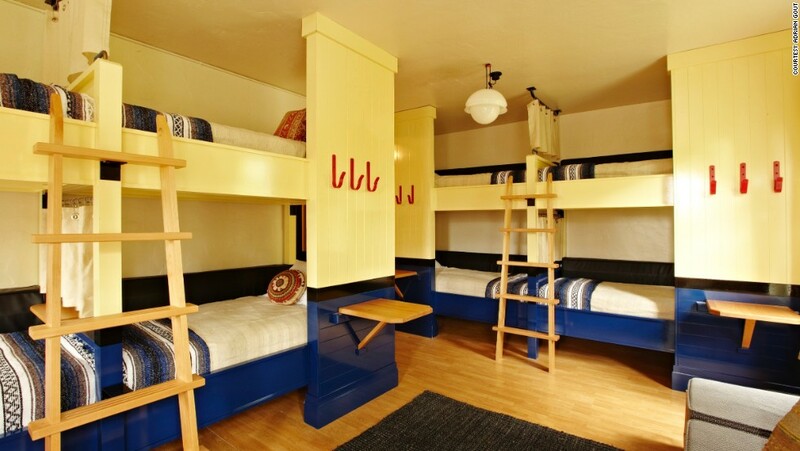 It is very similar to hostels, but in most cases even cheaper. Only difference is that you will need to take your own towels, body wash, slippers and other personal things. If you use any of these alternatives, you will be able to spend some more money on seeing tourism sites and exploring the destination. There is no need to overpay for sleeping if there are so many better ways how to spend it during the holidays.